Even after 65 years of independence, Millions of Indian children have never, ever been to school. Illiteracy is a self-fulfilling curse that perpetuates the chain of poverty, degradation and child labor. 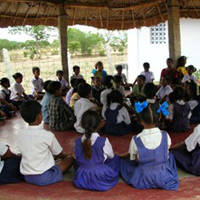 To reach out to this group of underprivileged children, since the year 1996, Round Table India across the country started adopting projects aimed at providing quality school infrastructure, and then in 1998 this project was formalized and thus born the National Project of Round Table India “Freedom Through Education” – In pursuit of educating underprivileged children. Guptasons do a small bit of assisting & raising and donating funds for this Noble cause. Desraj Parisar is situated on a 15 acre hilly track in East of Kailash, South Delhi. The whole Des Raj Campus is full of lush green flower beds and green lawns. It has in its vicinity the famous Bahai’s Lotus Temple & Iskon Temple which provide it a very beautiful, calm and serene atmosphere. The Campus have :- hostel facility for 500 girls, Senior Sec. School, Yoga Centre, Gymnasium, library and computer lab sponsored by Dell Computers. 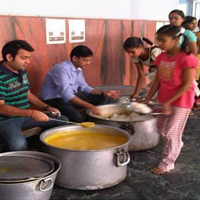 We have been a regular donor for food, clothes, stationary, blankets etc to the Campus. 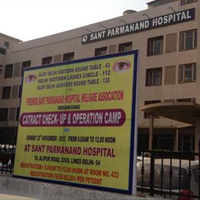 Round Table India has been conducting Cataract Operations since last 7 years in association with Sant Paramanand Hospital, Civil Lines, Delhi. Till date, we have successfully concluded 1573 operations. Every Year we gift eye sight to atleast 10 patients. 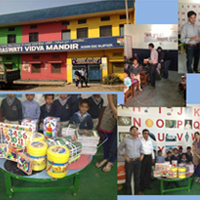 We have also been associated with Satsang Foundation and helps the under privileged children get education. 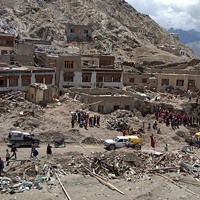 Year on Year basis, India suffers from various Natural Disasters like Ladakh Cloud Burst, Uttaranchal Tragedy, Tsunami and many more. We had been trying to assist the government build back the society in affected areas by donating some fund to Prime Minister Relief Fund.